It’s that time of the year again, when you start putting a plan together of which conferences you will attend throughout the coming months. If, that is, you made enough of a business case to get the funding from your boss. Let me help you decide what to put on your list in 2014. I complied your number one resource of 35 of the best SEO, content marketing and social media conferences around the country. I built the list below because I wanted to create a central resource for you to quickly and easily see all the upcoming inbound marketing conferences and make it easy to plan and organize your conference schedule. The list is not objective. It is based on my experience, the feedback I hear from others, the roster of speakers, and location (I live in New York). My favorite speakers include Gary Vaynerchuk (author of Jab, Jab, Jab, Right Hook), Rand Fishkin (author of Inbound Marketing & SEO), and Kristina Halvorson (author of Content Strategy for the Web). So, Mozcon, Confab and Internet Summit are among the top conferences on my list. I also love learning from the founders of start-ups and entrepreneurs, so you will see events such as SXSW Interactive, Internet Summit and Internet Week. I love to network, and some conferences have more networking value than others. For example, I had a lot of fun at NMX in Las Vegas this year because bloggers and podcasters are great to connect with. Some of the smaller conferences, such as SearchLove, stand out for networking because of the more intimate setting. When you plan your conference schedule you always think about travel to cool places. Can it get any better than Pubcon in New Orleans this year? I am also excited to go to Austin for SXSW Interactive and Seattle for Mozcon. You need to get immersed in the start-up world for opportunities to do cool things with smart people who have a lot of drive. The two conferences that stand out in 2014 are SXSW Interactive in Austin and Internet Week in NY. If you are a blogger looking for content, go to NMX where you can find a blogger to interview on any imaginable subject. Plan your conference schedule to connect with people who have similar passions and are fun to be around. The Internet Summit in Raleigh was the most fun experience for me in 2013. I made tons of new friends. Mozcon is also legendary for fun – if you are new to it just follow the hashtag #MozCrawl. I always look for opportunities to land cool speaking gigs that can get me a free pass to conferences. Attending the conferences where you would like to be speaker allows you the opportunity to introduce yourself to the organizers and speakers, who may then refer you. Bringing new business is part of my job description at Lowe Profero. 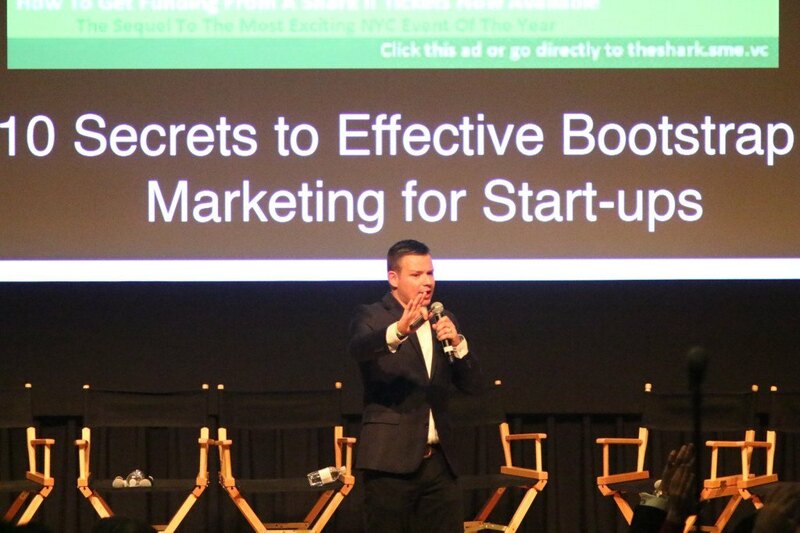 Last year, SMX East was a hit for me in terms of business development. It resulted in winning a million dollar marketing budget account. If you are looking to meet clients, go to SMX. This year, I am planning to be at SMX West. Price is an obvious consideration for everyone. In my view, the Internet Summit tops the list in terms of the optimum value for your dollars. For $295 you get keynotes with speakers like Gary Vaynerchuk, Alexis Ohanian, and Duane Forrester. The conference ticket came with one of the best after-parties I’ve been to with Coolio rocking the mic. The below list of inbound marketing conferences covers a wide range of topics ranging from SEO, Social Media Marketing, Conversion Rate Optimization, Content Marketing, Blogging, Monetization, Paid Search, Digital Media, Technology, UX, etc. The ranking includes four buckets, in which the events are sorted by date. The Diamond bucket represents my ideal annual conference schedule in 2014. However, I plan to be at as many of the 35 events as I can, either as an attendee or as a speaker. They are all great conferences. If you know of a worthwhile event on the topic of SEO, content marketing or social media that is not on the list, please submit it in the comments section. Enjoy! Which of the conferences have you been to? Is there any conference I missed but should be on the list? Let me know your feedback in the comments below. DIGIMARCON Digital Marketing Conference is held October 18-23, 2014. BHW Conference is just a conference that’s predicated on pc protection and has a wide range of people who are considering the data protection skills. You can anticipate yourself to know everything about SEO, and therefore the BHW Conference could guide you with all the information that is required by you, for your company. It looks like a great conference, thanks for suggesting, do you guys need speakers?